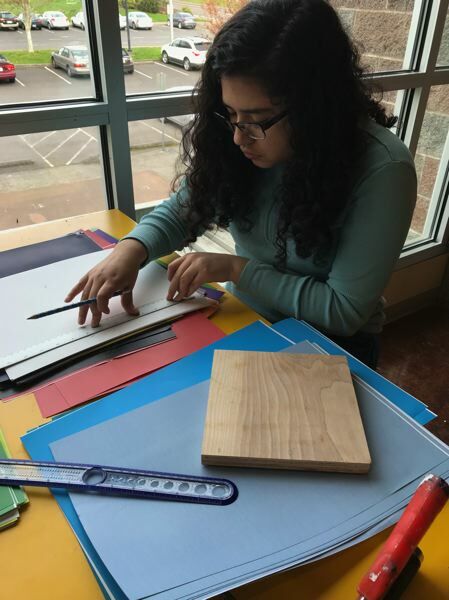 After three intensive weeks of recreating pieces from New York's Museum of Modern Art (MoMA), students at Reynolds High School are about to have their work featured in a show at the Portland Art Museum. "Our students were such go-getters — they stepped up and chose challenging pieces," Reynolds art teacher Katie Sullivan says. "I'm so impressed with their enthusiasm and follow through. This has been such a rich learning process." Reynolds artists are taking part in the "NotMoMa" exhibit curated by Emily Fitzgerald and Erica Thomas from Progress Works Agency. The exhibit is part of "We Construct Marvels Between Monuments," a year-long Portland Art Museum series organized by visiting artistic director Libby Werbel. The exhibit invites a range of emerging and established artists to ask questions about how the museum can become more inclusive in its practices and engage with a broader array of artists in the region. With the support of Sullivan, Reynolds art students reproduced MoMA pieces to the best of their abilities with the resources available to them. The students are enrolled in a gallery management course at the high school, where they run RoCA, the Reynolds Gallery of Contemporary Art. After attending four different high schools, Itzel Gutierrez, a junior, found a strong sense of community in RoCA. She says she has learned from this project to enjoy the process of creating art and looking for deeper meaning behind it. "Usually when people go to galleries with contemporary art, they question if it's art and think it's something they could make themselves," Gutierrez, who recreated the O from Artists for Obama, says. "This has taught me that it's a lot harder than it looks." Viktoria Moskalenko, a senior, describes all the detailed processes that went into recreating Mark Bradford's "Giant." "Replication is really hard," she says. "A lot of modern art is about the process versus the actual piece itself. There has been a lot of community built through making this art together." Otilia Garcia Morales, a junior, calls the process "fun, exciting, stressful and overwhelming," describing how students had their own projects but supported each other along the way. "We're like a little family," Sam Reitiz, a senior, says. "We have each others' backs and working with each other has made this all worthwhile." Senior Brittny Son says she encourages museum attendees to consider their own meaning and takeaways from the pieces. The sixth Reynolds art student who will be featured at Portland Art Museum is Taylor Raymond, a sophomore. 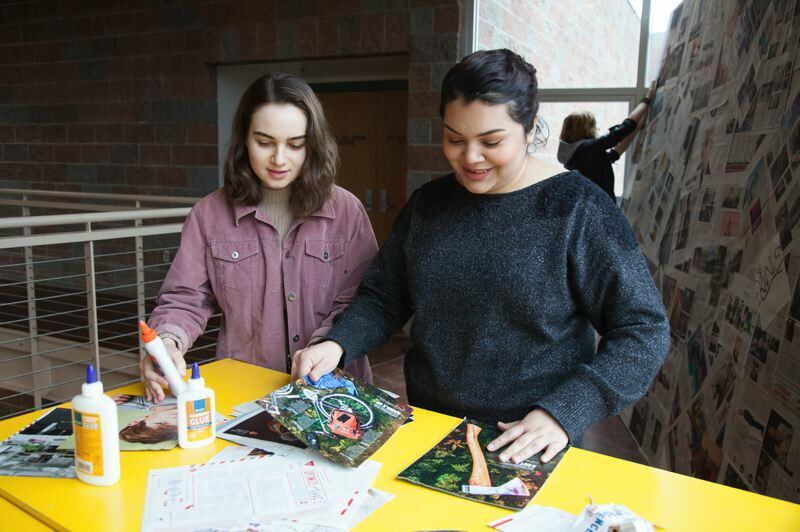 Reynolds students' work will be installed in the Jubitz Center for Modern and Contemporary Art at Portland Art Museum, along with the work of other area high school artists. All Reynolds students will have the opportunity to support their classmates and receive free access to the museum. On opening night of the "NotMoMA" exhibit Friday, May 11, Reynolds is chartering a rooter bus to the art museum. "My expectations of our youth have been blown away during the past few months," Sullivan says. "It's been amazing how much they have developed as artists within this project-based learning experience, and unlocked their own potential."